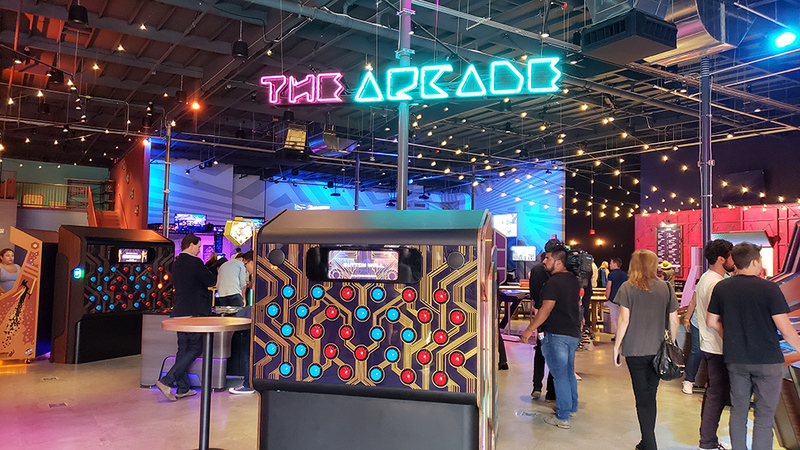 Two Bit Circus, the carnival barcade, is now open, and it’s a modern take on the arcades filled with VR rooms, escape rooms, bars, and a kitchen to get your grub on. 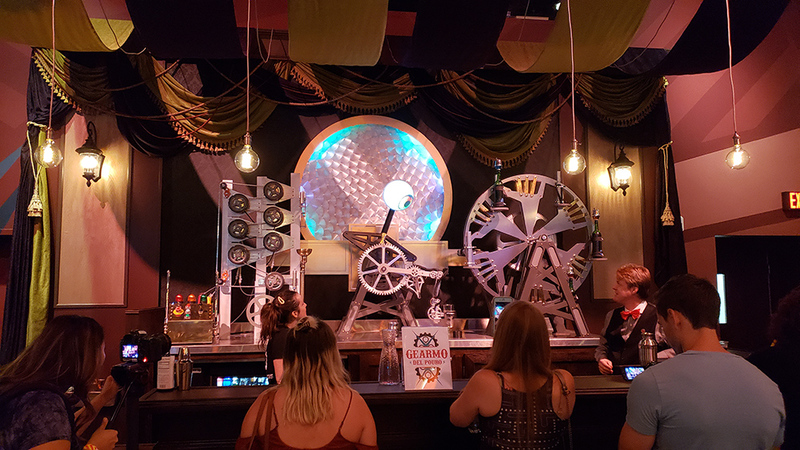 We are escape room enthusiasts at Nerd Reactor, and sadly, we weren’t able to check out the rooms at Two Bit Circus since they weren’t available during the grand opening. Yes, there are two escape rooms located in the building, and these will transport you into the future and the past. In The Lost City escape room (4-6 players), you are adventurers looking for ruins of a secret temple. You’ll have one hour to discover it, or succumb to getting trapped forever. For Space Squad in Space, your team (4-6 players) is tasked with completing a mission, and you’ll only have 25 minutes to finish it. 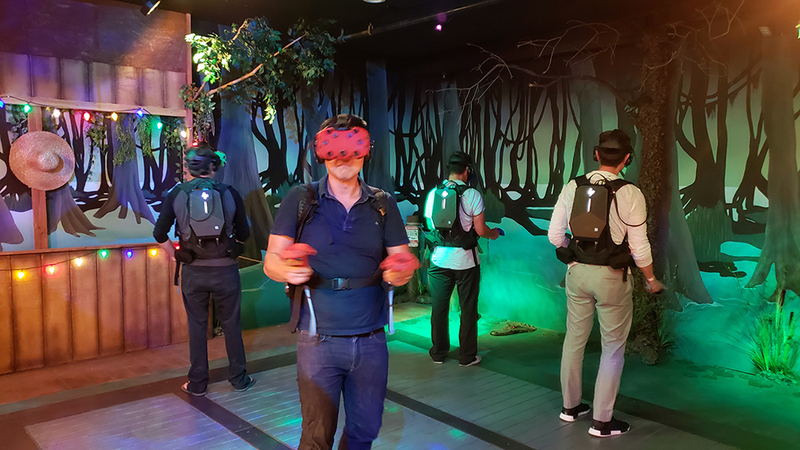 In this 4-player cooperative VR game, you and your team are tasked with defending the raft against the supernatural creatures. It’s set in a swamp, and you’ll have weapons at your disposal to take out enemies in the water, land and sky. 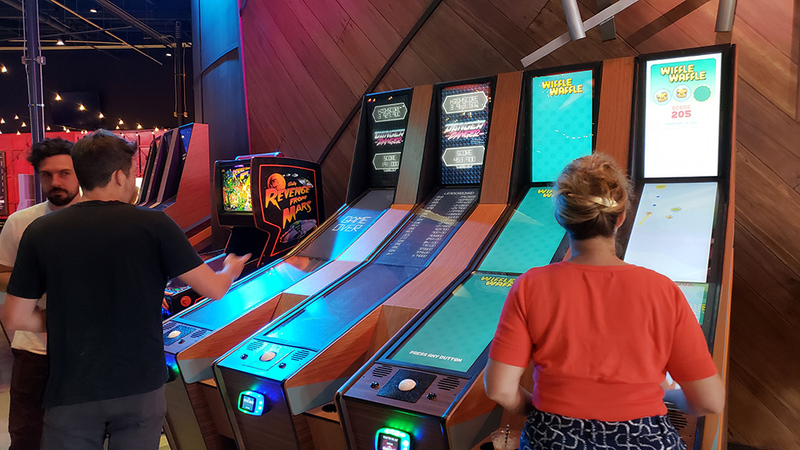 And then there are the many arcades ranging from classic arcade games to midway-style games. 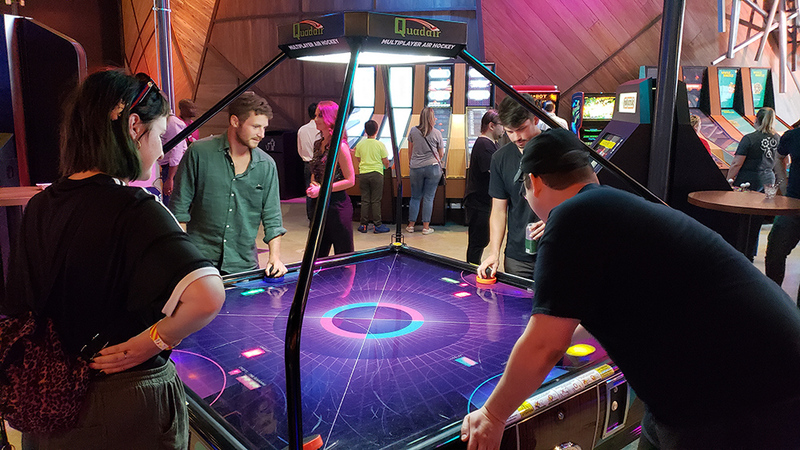 An arcade isn’t complete without air hockey. 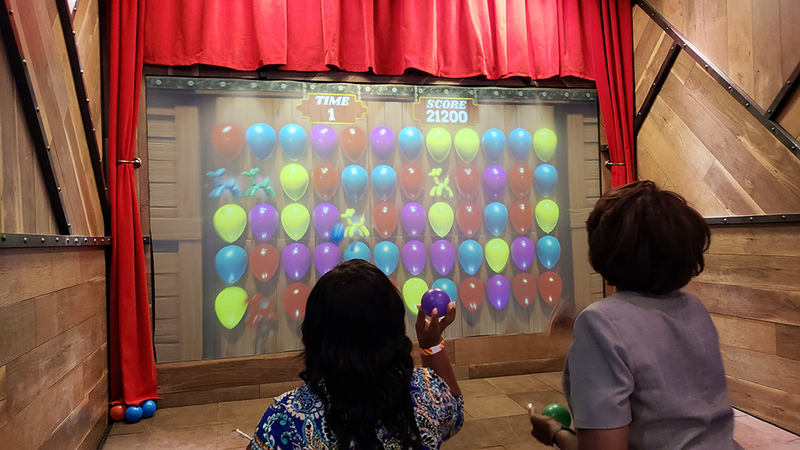 At Two Bit Circus, it features Quadair with vibrant visuals. The Arena is an open area for more VR games and experiences. 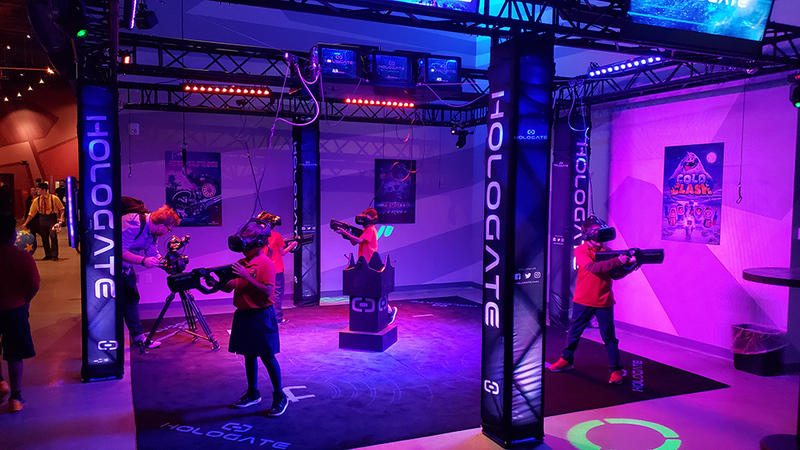 At the Hologate, you can play with other VR players. 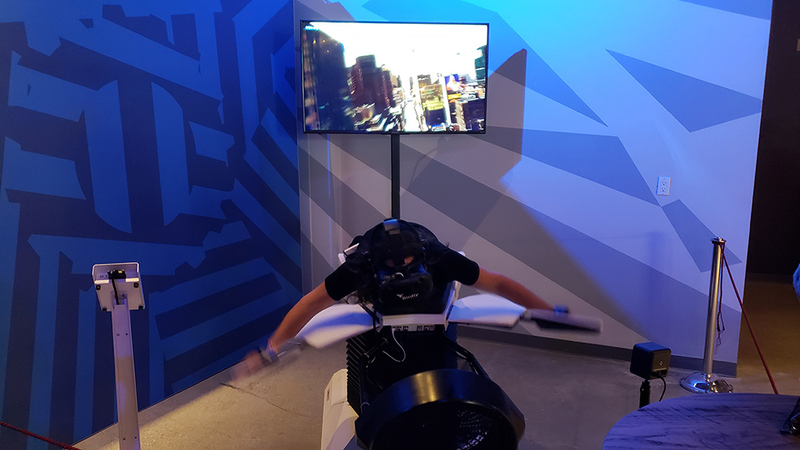 There’s a VR setup that will make you feel like you’re flying. 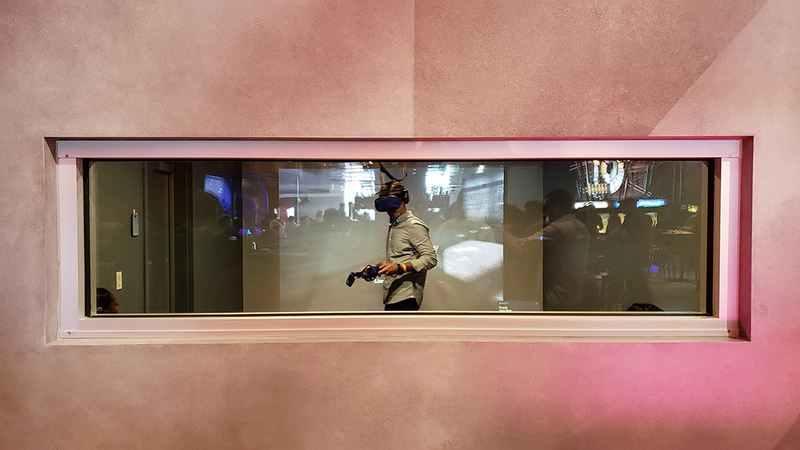 The Cabanas will allow friends to go inside a private room, similar to a private karaoke room, where you can play VR games and more by the hour. You can even call in to have someone bring you drinks. These rooms are good for up to 6 people. Then there’s Gearmo del Pouro, the robot bartender. that’s definitely inspired by the steampunk genre. If you would rather have real bartenders, you can check out the regular bar. 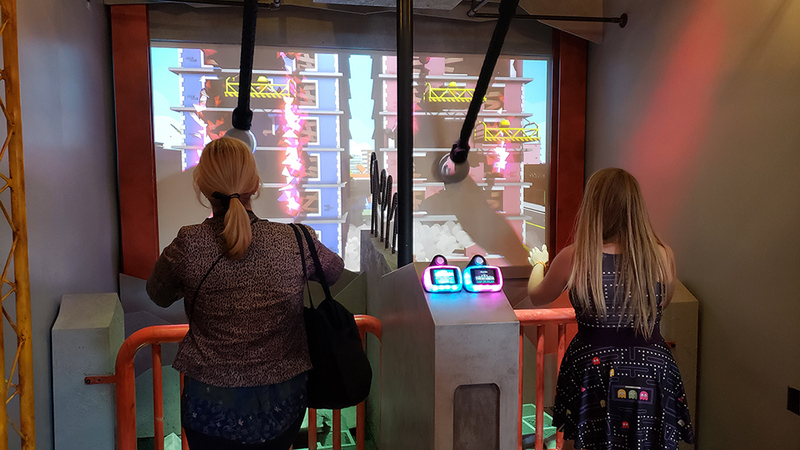 If you want to check out a new arcade experience filled with alcohol, VR and food, then definitely try out Two Bit Circus in Downtown Los Angeles. From now until the end of September (Monday-Thursday), you can get double plays at Two Bit Circus. So that means $50 worth of play is available for just $25. For more info, visit Two Bit Circus. 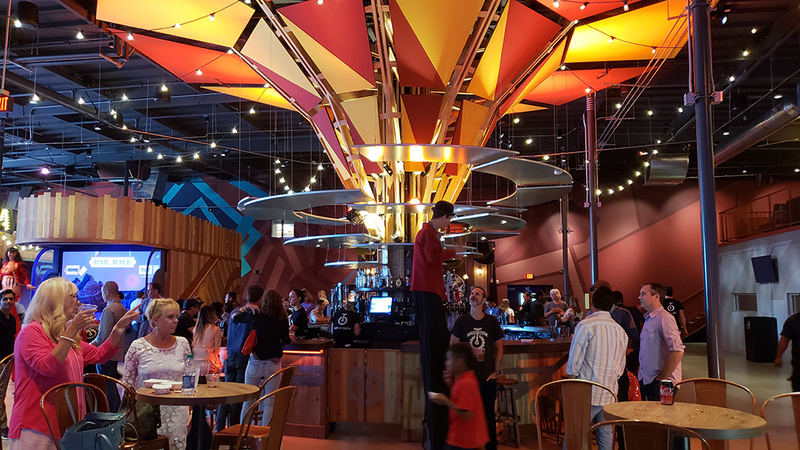 The post Two Bit Circus is now open in Downtown Los Angeles appeared first on Nerd Reactor.